The "ancient quarrel" between philosophy and literature seems to have been resolved once and for all with the recognition that philosophy and the arts may be allies instead of enemies. 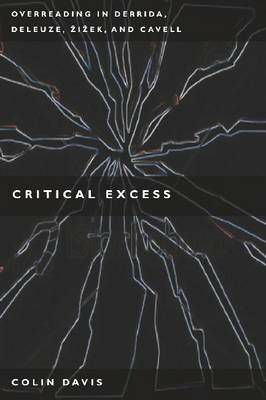 Critical Excess examines in detail the work of five thinkers who have had a huge, ongoing impact on the study of literature and film: Jacques Derrida, Gilles Deleuze, Emmanuel Levinas, Slavoj Zizek, and Stanley Cavell. Their approaches are very different from one another, but they each make unexpected interpretive leaps that render their readings exhilarating and unnerving. But do they go too far? Does a scribbled note left behind by Nietzsche really tell us about the nature of textuality? Can Hitchcock truly tell you "everything you always wanted to know about Lacan"? Does the blanket hung up in a motel room invoke the Kantian divide between the knowable phenomenal world and the unknowable things in themselves? Contextualizing the work of the five thinkers in the intellectual debates to which they contribute, this book analyzes the stakes and advantages of "overreading."